Like so many parents of my generation we have taught our children sign language early on. Our kids all three started talking ridiculously early (they do come by it naturally) so we have not gotten past "more". They just start talking and then what's the point of teaching them to sign. So Hoss use to sign more when he wanted more food and then he learned how to say please. Learning a new way to get food... after all that really is all Hoss is usually after, and there was no longer a need for the "more" sign. When Hoss asked for food. (And by asking I do mean screaming) After being corrected we would say, "How do you ask?" Hoss would say "Pees," because that's what gets him the food. Then Hoss learned Thank You and then came the confusion. Now Hoss is a bright little boy but this whole correct response, correct way to ask for things, got to be too much for him. So sometimes asking "what do you say?” got us a "Pees" and sometimes it got us a "Tane Too". More recently though the confused little boy, who just wants his food, has taken to signing more, while saying thank you, all the while meaning please. And since he's adorable with those dimples and that big gap in his teeth and the huge brown eyes. And of course the fact that he's doing the best he can, and as far as he knows, he's asking the right way. I give the boy what he wants, which is of course, ALWAYS food! This got me to thinking last night about how I ask my heavenly father for things. Or rather how I think I have to ask. As much as my son's good intentions tug at my heart and get him SO MANY things, I'm guessing God's got the whole patient and loving parent thing down a whole lot better than me. So is it really that necessary for me to approach him at just the right time, with just the right words? Or can I simply say my pees and tane toos and depend on a loving Father to give me the desires of my heart. Which ironically enough often times involves food. Tonight I came in to the kid's room to help get them ready for bed. My husband is GREAT at getting the kids all riled up just before they need to get to sleep. I got to capture him doing what all Dads do best. Making a fool of himself to make the kiddos laugh!!! Now my husband is a great guy and a ton of fun but he is also, especially in public, a little bit quiet in reserved. The movie "Fireproof" is made by the same people (a large Baptist church in Georgia ) that made "Flywheel" and "Facing the Giants". While their previous two movies were excellent, they did seem to lack a bit in quality (such as filming, acting, effects, etc), but not this time. For this movie they actually hired a Hollywood studio to help them (Samuel Goldwyn Pictures (He was the "Goldwyn" of Metro Goldwyn Maier (MGM)), so the special effects, filming, and acting are just as good as anything that Hollywood can produce. Now the important part..it is the story of a couple who are having SEVERE marriage trouble and are on the brink of divorce. Days before they were to file for divorce, the husband's (Kirk Cameron) father challenges him to a 40 day love dare. This is a wonderful story of how God brought their marriage from the brink of divorce and restored them. This is a completely 100% clean movie with absolutely nothing objectionable in it and it has a VERY powerful and positive message of marital commitment and faith in God.The movie is being released nationwide on Friday, September 26. The theaters have agreed to give it only a 1 week trial run. What this means is that if there aren't enough people that go to the movie on Friday, Saturday and Sunday September 26-28, then after the first week it will be pulled from the theaters. This movie has such a powerful life-changing message that has the potential of changing tens of thousands of lives and marriages as well as introducing these people to God, it would be a terrible shame for this to only be in theaters for 7 days. I encourage all of you to make plans now go to this movie on one of these three days and bring as many people with you as you can. I know movie tickets are expensive but I strongly believe it is money well spent. To see a movie trailer, learn more about the movie or to see a complete listing of all theaters nationwide that will be playing this movie, go to www.fireproofthemovie.com. 1. I can work on my writing skills. 2. I can escape into this world where some know me, others don't but I can just be me! 4. I know that from time to time my posts make my parents proud and as a grown women with 3 kids of her own, I still LOVE to make my parents proud. 8. From this blog some of my self doubt has been erased. Through comments, both on the actual blog and via phone and email I have been encouraged by what others have gotten out of my words. And I LOVE hearing when I have made somebody laugh or smile. 9. I may be a little late in starting but I love being a part of a fad. I'm never a part of what the 'cool kids" are doing. 10. From my friends that don't know I blog, I feel like I have this secret life they don't know about, and someday they will find out this random fact about me... they probably won't care, but in my mind it's fun. 12. I like changing my header and the looks of my page. 13. IT'S ADDICTIVE! I couldn't quit even if I wanted to. And the washing machine overfloweth. And you can't get your teenager out of bed. And it is only the 5th of the month. He makes my feet like the feet of a deer. I can run like a gazelle to unplug the washer. Wipe it off and dial the nearest Pizza Hut. After all if there is no money left for groceries, we'll have to order out. Bella came out of her room about 15 minutes after nap time started today and said. "I'm all done I went nite-nite real good." "Uh, no you didn't" I said. How often I find myself trying to get by with the least amount that God asks or requires of me. ..."but I keep my bible out on the night stand, isn't that enough?" Yeah, it didn’t work for Bella either! *Disclaimer* In case it has seemed to anyone else, or maybe it is just me being paranoid, but I'm going to say it anyway. I, in no way, am trying to belittle my children by my posts. I am not finding fault with their antics or thinking they should have behaved better, done it differently, etc. I recognize that they are children and therefore, expected to act in a childish manner. And, when I am not being impatient with them, I find it endearing. 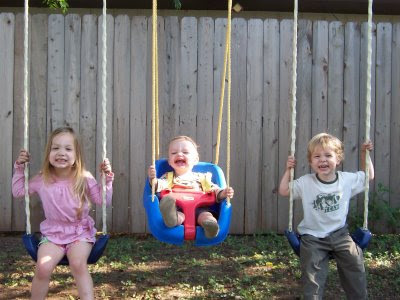 I, on the other hand, am expected to have moved beyond some of these childish behaviors as their mother. God has blessed me with the ability to learn lessons through them as I see a reflection of what I am in the things my kids say and do. I don't know, maybe he just feels he has to keep it on a preschool level for me to understand but I find I learn the best lessons from the mouths of babes. And in between having to leave the room in the midst of trying to discipline because Bella just makes me have to laugh out loud sometimes, and thinking, did Buddy really just do that, I find a point to all the madness. I don't remember where I found this photo. It has been sitting in a file on my computer for some time. I loved it first because my husband loves lighthouses. He collects them. I always thought they were kind of pretty but have never been as passionate about them as he. But tonight this lighthouse speaks to me of peace. And not exactly what usually comes to my mind when I think of the word peace. I look at this picture, at the skies in the background. I see the remnants of a storm. I think of what I may have lost the night before in the midst of that squall. I am still far from home and there is a journey that lies ahead. And I realize, peace does not always mean we have arrived, we have everything we need. But in the midst of something lost, at the height of longing, there is the knowledge that we have been saved from what could have been. There, we can stay hidden, tucked away, sheltered just a little longer. And that light, will serve to guide us when skies darken once again. For the light reaches far beyond where we can see. My kids just had birthdays a few weeks ago. Bella on August 24th, and Buddy about 2 weeks later. We got them hula-hoops. Bella, obviously got hers first, since her birthday comes first. Buddy loved her hula-hoop. He longed for one of his own (fortunately we knew this would be the case and had already purchased one for him too and were saving it for his birthday.) In the meantime, anytime Bella put her hula-hoop down, Buddy was all over it. Playing with it, leading it around like a beloved pet, talking about it at the dinner table, how he was going to play with it as soon as he got done eating (as long as his big sister wasn't already playing with it). It was no surprise that he was overcome with joy when he received his very own little ring of bliss. No more waiting his turn, no more asking permission and hoping that her highness, the 4 year old, would grant his request. His new, Buddy owned hula-hoop was lead around like a beloved pet anytime he wanted it. 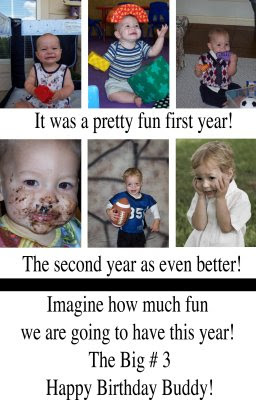 That was about 2 weeks ago, about a decade to a three year old. Yesterday the boys were in their room playing. Buddy called me into his room requesting help with something. 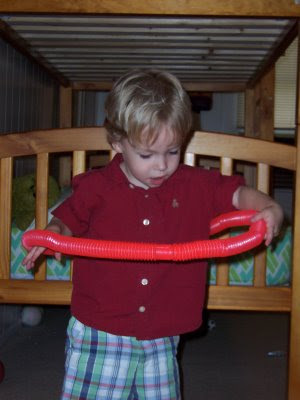 He held in his hands two flexible orange tubes that connect to one another. He wanted me to put them together to form a circle. Guess what he wanted to use it for? It was incredible to me. There, in the very room he played in, was an actual hula-hoop. One that, just days ago, could not be matched, in the eyes of my sweet boy, for a better toy. And now, here he was, looking for something "better" to replace to it. How revealing this was to me, simply a larger version of this child. The 25 years I have on my son does not seem to have given me much more maturity in matters of want. I become so easily discontent with things that, not that long ago, brought me such joy. Instead I find myself, like a child, looking for something to replace what I have already been blessed with. I call God in and ask him to put together the pieces to "a new toy" when what I need sits right in front of me. Lord, teach me to be content with what I have. Help me to be an example of this to my children. Thank you for providing all that we need and then some! The great enemy of the life of faith in God is not sin but the good, which is not good enough. Yesterday Elyse said to me, "Mommy, I'm going to tell you the same truth I told daddy..."
I'm still not sure if the version we got was the actual truth but at least we both got "the same truth". I was reminded of this this morning as our pastor was speaking about relationships. I wonder which truth I show people about me. I may feel like I am, as a friend use to say, "keeping it real" because I am showing everybody the same truth about myself. But is this "truth" that I have so perfected the real me? Do my friends know that I fail, daily, as a mother? Do the people I go to church with know that I really can't do it all on my own even though I have spent a life time priding myself on just that? Just because I am telling one person the same truth I tell the next doesn't mean that any of it is sincere at all. Out of the mouths of babes! This is a story about a boy who, up until the time he was two, had not received even a lick of brownie batter. 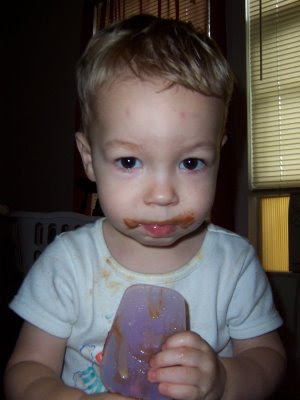 His mother, who passionately hates baking, had deprived her children of such pleasures in life as licking the mixing spoon full of ooey gooey mouth watering chocolate mush. One day after giving into a craving for something fattening and delicious. Said mother decides to break down and mix up a boxed batch of brownies. She is feeling unusually generous that day and so decides to share a small part of the half batch of brownie batter that always makes it into her mouth pre baked. She scoops out a spoonful for her three-year-old daughter and then hands two-year-old son the mixing spoon full of ooey gooey goodness. 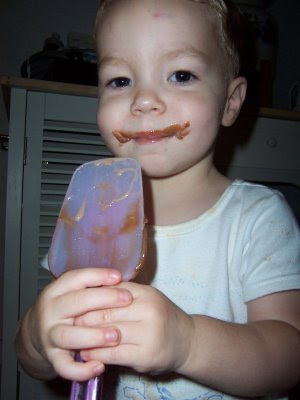 Boy Loves His First Yummy Bites of Sticky Chocolate! 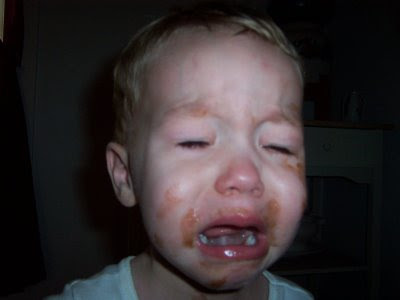 Boy Finishes Spoonful of Chocolate and Finds Out There Is No More! Boy Is Unhappy About This Little Arrangement! And Does Not Get the Privilege of Ooey Gooey Goodness For Quite Sometime After! So I use to wonder if this was really a problem for people. Now I know... it happens. And, it happened to me. N and I bought a tube of Pringles. Mmm... I love Pringles! We like to try out all the strange new flavors, Cheeseburger, Seven Layer Dip (my personal favorite), and then there was Tuesday, the day that we bought Mozzarella Sticks with Marinara Sauce. It sounded strange but we wanted to try it. I kind of forgot about them and didn't check them out until yesterday afternoon. I grabbed them from the top of the refrigerator pulled the plastic lid off and noticed that the freshness seal was pulled most of the way off. Hmm, I wondered what N thought of them. I, loved them, by the way!!! Ya gotta try em. I mean, I eat 3/4 of the package in one sitting, loved them! I saw them on my night stand last night when I headed to bed. They were sitting there because I had eaten them during nap time while folding clothes in my bedroom. Not because N and I had come up with "romantic" things to do with them... one day I'll have to post about the day I found a jar of peanut butter on the night stand in my parents bedroom and why I never ask questions like "Hey, what's the peanut butter doing in your bedroom?" Frightening! 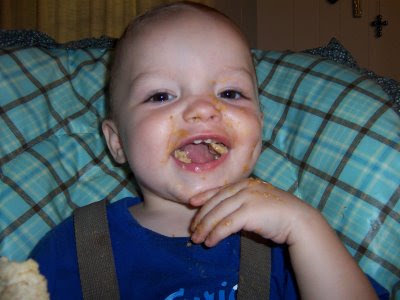 So I asked, "What did you think of the Mozzarella Sticks with Marinara Sauce Pringles?" He said, "I don't know, I haven't tried them yet." "Nope, I haven't tried them." "But the freshness seal was open!" "I didn't do that, I haven't eaten any"
"Ew, I ate those and somebody had already opened them!" Apparently the "do not eat if freshness seal is broken" is there because, people, at times, open up the package take a few (Oh I forgot to mention, there was obviously some missing from the tube.) and then put them back on the shelf. Yuck! But like I said, they were good, I almost finished off the rest of the previously opened and consumed can of Pringles today! I'm thinking if I was going to contract something from eating a previously opened and consumed can of Pringles, I had already been infected and might as well enjoy the rest!